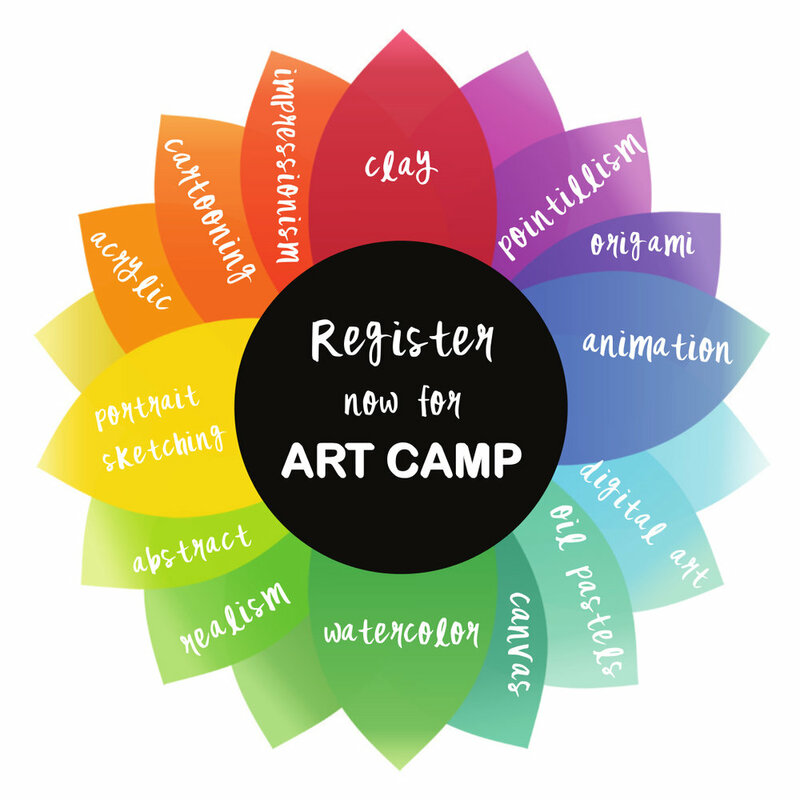 Art Camp — Young Art Book Now! STUDENTS WILL BE INTRODUCED TO A VARIETY OF MEDIUMS, INCLUDING WATERCOLOR, OIL PASTEL, TEMPeRA, ACRYLIC, WATER PASTEL, COLORED PENCIL AND CLAY. Classes will cover the styles of well known artists as students experience Impressionism, cartooning, abstract painting, portrait sketching, still life, drawing animals and classical landscape compositions. Interested in just the day, book for a day pass here! Copyright YoungArtUSA.co. All rights reserved.